For many people, Star Wars is much more than just a franchise of immense popularity. Depending on who you ask, Star Wars is a way of life, a religion, something that defines them. Sure, that may sound a bit extreme, but that galaxy far, far away has one of the most passionate and dedicated fanbases around, and it’s one that probably won’t ever die out. That’s because, not only is Disney going all in on the franchise at the moment by developing numerous projects across several different mediums, but Star Wars is also something that’s passed on from parents to their children, ensuring that it always stays relevant and loved by millions and millions of people around the world. For proof of that, one only needs to look at some recent statistics from the Social Security Administration, who report that Kylo has become the fastest-rising male baby name in the United States. From 2015 to 2016, it saw a massive boost, going from number 3,268 to 901 on the list of most popular names. Obviously, that’s entirely due to the release of Star Wars: The Force Awakens in December of 2015, as the film introduced us to the instantly iconic Kylo Ren, played so brilliantly by one of our generation’s finest talents, Adam Driver. Despite the character being pretty damn evil, that hasn’t stopped parents from naming their children after him and with the villain set to continue to have a very large role in the franchise moving forward, the name’s popularity will probably continue to rise as well as time goes on. That’s pretty interesting, too, as the origins of the moniker haven’t been revealed yet. As fans will know, Ren’s real name is Ben Solo. He only became Kylo Ren once he turned to the Dark Side. Still, that hasn’t discouraged parents from using it and from what we understand, research shows that people are more likely to name their children after villains than they are heroes – make of that what you will. It’s probably why Anakin ranks so high on the list, too, claiming the 778th spot last year. 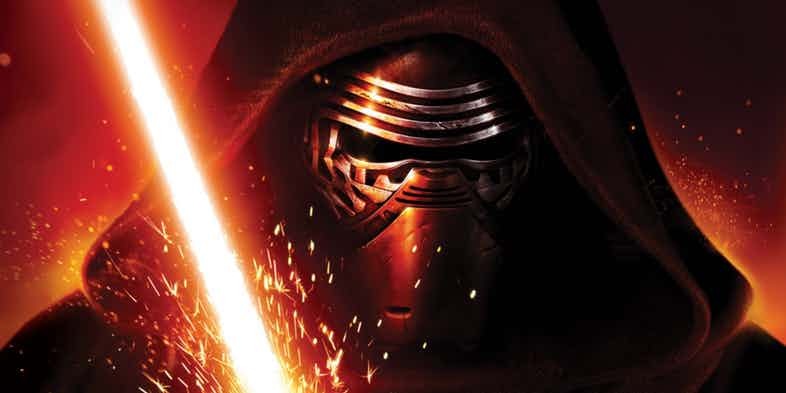 Will Kylo overtake his grandfather in 2017? We wouldn’t rule it out, especially with how popular the new Star Wars films are proving to be. Either way though, fans of the franchise will no doubt be pleased to see just how much their favorite characters continue to resonate with the population and impact our lives on a day to day basis. Tell us, would you ever consider naming your child Kylo? Or even Anakin? Sound off in the usual place with your thoughts!